Poke face is on the left, Triangulate is on the right. Appears that Poke ends up with a vertex in center of the face and Triangulate ends up with just an edge. Not the answer you're looking for? Browse other questions tagged blender-render 3d-view or ask your own question. What are the differences between Orthographic and Perspective views? What is the difference between the trackball and turntable style view modes? 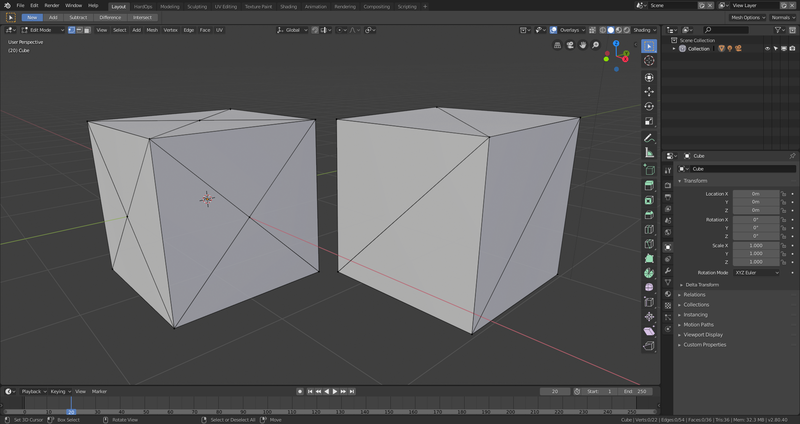 What is the difference between blender render and cycles render? What is the differance between “Texture View” and “Material View” in BGE or BI? Difference between two models, objects disappear from view, cameras added? Relation between BI and Cycles lamp energy/emission values? How to convert between Cycles and Blender renderer?